Just how healthy and fit are you? Are you energised, full of vitality and youthful? Or are you over-weight, drained and getting old before your time? To create a big and bold life for yourself, you need to be in optimum health and to eat the most nutritious foods. Just as important is to regularly detox your body and to rest your digestive system. Farnoosh’s new product is a very comprehensive “Guide to Green Juicing”, and it also comes with a bonus – “Your Juice Fast Guide”, which takes you through a 5 day juice fast. Whilst speaking to Farnoosh last week, I suggested that we should try out her 5 day juice fast together. She didn’t hesitate and took up the gauntlet – and so here I am, already on the first day of my “fast”. Updated 29th Feb – Here in the UK, we are lucky that we have access to the National Health Service (NHS) – and despite any bad press, I do believe that it’s still one of the best in the world. I know how in the rest of the world, so many people have to take out private health insurance. One way of insuring good health to start with is through your nutrition and a good diet. And it all begins with getting your body in good order in the first place through fasting. 1. So Farnoosh, here we are about to start this juice fast together. Tell us more about how you got into this way of healthy eating and why juicing? Arvind, I got into green juicing in a fleeting moment – it was so sudden! 4:30am, I was watching an infomercial by the wonderful Jack Lalanne, and I was intrigued beyond control. I am in love with fruits and vegetables so it was a natural next step to explore them in a different state, beyond cooked, baked or salad state! Then I found out how delicious and refreshing and beneficial green juicing is so it became a part of my life. I have done lots of other things: vegan diet, raw food challenges, vegetarian diet, green smoothies but there is something about green juicing that is pure, simple, and phenomenally good for the body, mind, skin and heart. You’ll see. You’re doing a juice feast with me now! Well, let me first define it: a green juice doesn’t mean all the juices we make are from green vegetables. It means that you have some vegetables in the mix. Ideally, yes, a green juice is green and mainly vegetables but a beet-carrot-ginger juice is also a green juice to me. Green means vegetable. And the reason I focus on green, although I do have fruit juices as well, is because of the low to almost-zero sugar content, lower acid content and the higher nutrient and antioxidant content of most vegetables compared to fruits. I really think vegetables, in raw form or juice form, in a reasonably good to large quantity, can be your salvation and your return to health. 3. You look so healthy and fit in your videos and photos. Do you really need to do juicing? Or maybe the juicing came first? 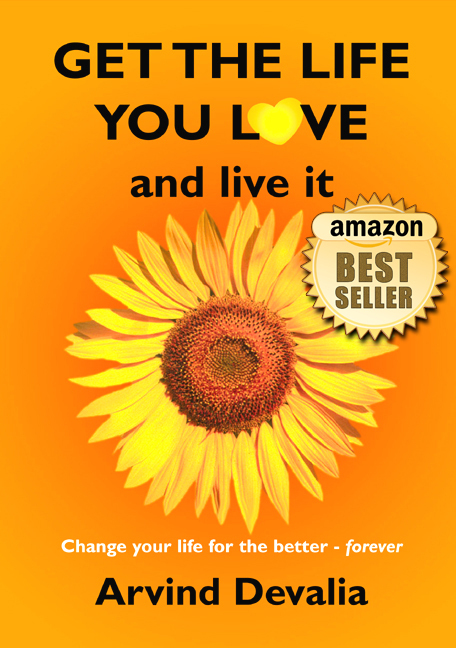 Can all my readers end up being as vital, healthy and full of life as you? What about me? Can I!? Let me address all of these wonderful questions. First, I don’t *need* to do juicing, no. I enjoy it immensely and I love what it does to my body and mind. The reason I look fit and healthy is my holistic lifestyle, from yoga and exercise to taking care of my body and skin and eating well and avoiding alcohol and stress and even toxic relationships and environments. It’s not one thing that makes for a healthy body and mind and it is a good thing to pay attention to everything going on in your life when you take the journey toward your best health. Your vitality lies in many areas and you can revive it and take it back with some very simple steps. Juicing has had tremendous effects on my body. I really believe that juicing combined with my Oolong and green tea habits have made my digestive system more robust than it ever was in my early 20s! And juicing can be for everyone; you just have to know what you are doing and how to get started and I outline all of this step-by-step in my Green Juicing Guide. 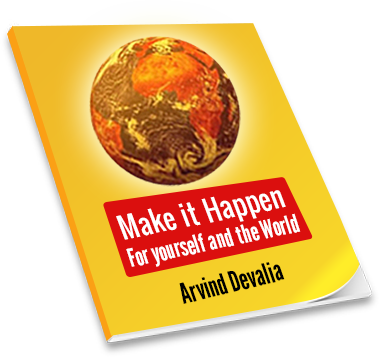 All your readers, my readers and everyone can be full of vitality and health if they first set the intention to do so and then take tiny steps – not even large ones but small tiny ones – to get there. You are included in this category, naturally:-). 4. What precautions should we take if any before starting on your juice fast? Great question! I am so glad you asked because you really do need to be careful. You need to try to eat very well even before you start the juice fast, ideally, go on a raw-food diet or a vegetarian diet before your fast for a few days and just eat fruits and vegetables the day before the fast. You need to do it at a time where your social and work life is not very intense and at a time when you can give yourself some quiet time for reflection and meditation. You also need to carefully monitor yourself and make sure you are staying rested and have the chance to rest when you need it. If you are interested in more, I outline every single step of the juice fast in the bonus guide that comes with the “Green Juicing Guide” and share with you my lessons from my 5-day juice fast. Both guides come in PDF version, Amazon Kindle version and ePub version i.e. you get all 3 versions in this package and you can use any version that suits you best. Also, this is a comprehensive step-by-step guide that teaches you all you need to know about green juicing. It assumes no previous knowledge on your part, so that’s why it covers all the basics and the essentials as you embark on your juicing adventure. And it answers all the questions you have, including the ones that you may be hesitant to ask! Plus, you also get an audio product – “Motivation Track for Your Juicing Journey” in MP3 version that works with all digital audio players. 5. I personally prefer to see this as a juice feast, not fast, as I will be feasting on all sorts of raw, living foods. I find this is an empowering way of looking at it without any negative impressions of having to suffer or starve myself. What do you think? A beautiful way to look at it, Arvind! Just look at all the amazing colours of fruits and vegetables that your body will consume. It’s also good to take a break from eating once in a while, to let our bodies rest, to let our digestive systems go into hibernation, I like to think of it, and prepare for the next phase of eating. It is a great way to cleanse and also to enjoy delicious drinks. Regarding the starvation part, you know, I was worried sick about that first time I fasted. It was a fascinating discovery how after a few pangs of hunger, my hunger went away and I entered into this quiet blissful state with clarity and energy and yet extreme peace and calm. I think that’s what I crave this time more than anything and definitely, more than any food. Let’s see how we get on, shall we? 6. So detox diva, what’s next for you? Well, this is supposed to be an extremely productive week for me, with my hubby gone and me all to myself. I plan to finish working on the Smart Exit Blueprint course and to put together some great things for Prolific Living in 2012. I will also read a lot, meditate and do yoga and spend time reflecting on the beauty of life and the immense gratitude that I need to remember constantly. In other words, I will be very busy! 7. Thanks Farnoosh for your inspiration! Any final words re your juicing? First a huge thank you for doing the juice feast with me and also for showcasing Prolific Living on your wonderful space here, Arvind. Also a few words to encourage you, the wonderful reader, at juicing or any other health change or challenge, please believe that you are no different than anyone else. You just need to set an intention that you will make a change and then take care of the rest, which is mainly detail. Your intentions and promises to yourself, those are extremely powerful. That old cliché rings true every day if only you let it. 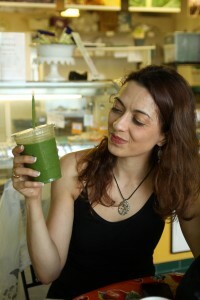 Footnote:- Check out Farnoosh’s Green Juicing Guide today and also her inspirational blog Prolific Living. My commitment is to walk with you in 2012 and give you everything I have to help you find your greatness, and to help you make the world a better place at the same time. Thank you dear Arvind for all your kindness and for being my dear partner in this juice fast. It makes the experience that much richer and sweeter! Farnoosh, thank YOU for being such an inspiration to all of us with your passion for healthy living! This was excellent. It makes me want to get my blender out of storage! Mahalo for the article. It stoked me up even more! Welcome to my blog Jt! I couldn’t agree more with Farnoosh’s statements. Veggies and fruits and mainly an alkaline diet have the potential to turn back the aging clock and wipe out most of the modern diseases and ailments we suffer from today. I truly believe that. 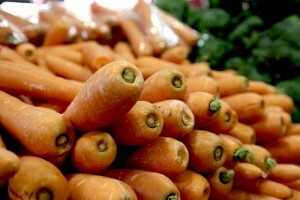 Thanks for sharing your experiences of raw food and also juicing – I love the analogy of plugging in a new battery:-). Today on my second day of the juicing fast, I created a concoction of carrot, beatroot, zuchinni (courgette) and gourd with a dash of pineapple juice and it was absolutely divine! I felt like a battery had been plugged in – and I got a clean, energy rush just as you say above. I have noticed though just how many vegetables I am getting through! 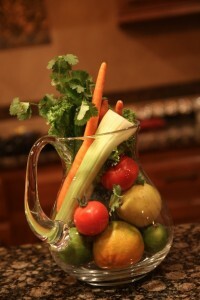 From hereon, I am going to incorporate even more veggies and fruits in my diet – and create a much more alkaline diet. And of course I’ll begin to feel and look younger ;-). Huge hugs back to you! THANK YOU for all of your wonderful comments. My dear friends, it’s our Day 2 of the juice fast here and things are going well on my end, I am hoping Arvind is hanging in there. I think we both are doing well. I wish we could celebrate with an Indian cuisine feast when it’s over but that defeats the whole purpose. Ah, to your vibrant and lasting health, and lots of love to you in 2012! Take good care of yourselves and let me know if you have ANY questions about juicing! Farnoosh, I am here and more than hanging on in there! I am thriving:-). Maybe we can celebrate with a very healthy Indian cuisine feast! I love this interview on green juicing. It does sound so healthy. I have one I like with spinach and then lots of berries and a bit of juice. It tastes wonderful and feels like you are drinking something good for you. Any way that we can get more veggies and fruit in our system is helpful. Take care. Cathy, now you’ve got my taste buds going – I must try out spinach with lots of berries and juice. Sounds divine. There is no stopping us now – more power to juicing! ummmm..its ages since I have had a green drink or juiced. 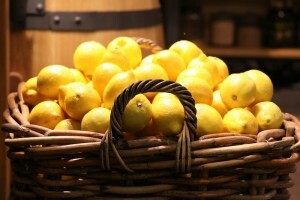 Your post reminded me of the value and freshness from creating my own juices and taking that extra bit of more care of self. thanks for prompt. Let me know when the next green feast is on. Thanks Farnoosh. Ntathu, welcome again to my blog! It’s clearly time you got back into juicing and having green drinks. As for the next green feast, when do you want to have one? There is no good time as starting today:-). Hiten, what is in the drink? Spill your secrets! Come on :)))! 🙂 Lovely post – and one that inspires me to follow at least one among my grandmother’s various recipes. I’ve always thought you looked gorgeous, Farnoosh – and the juice fast sounds like a fun way to detox. My Mom and I once went on a “soup” fast (we wanted to break the ice-cream cycle), many years ago. I remember I got tired of it after five days, but it did us a world of good. I think I had a mental block about a liquid diet :-). I already follow a healthy diet these days, so this juice fast sounds very tempting. Just hearing that Arvind is feeling energized is so inspiring. Vidya, today’s the first day of eating “proper” food – and I feel really good! I am more energised than before the fast and I feel I am still detoxing. In the last 7 days, I have had my best nights of sleep for a while so clearly it helps to give the digestive system a rest from solid foods. I really like how you define “green juice”, vegetable juice, not necessarily green colored. Also your tip about eating a raw food diet before going on a juice fast is excellent. You are so right, sometimes it is good for our bodies to have a break from digesting solid foods… and a few days of just juicing, sounds divine! Thank you for an excellent article. 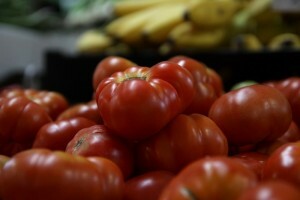 Thanks for sharing your tips here and on your blog about raw food eating. And yes, good to clarify that “green” juice doesn’t mean green coloured juice but refers to juice from vegetables. Please do try out the juice fast for a few days – it IS divine! Such a GREAT post! We all should spread the green juicing hearsay around the world, as it can literally save lifes, and surely improve their quality. Tammy, welcome to my blog! Green juice is the best stuff on the planet! Packet with chlorophyll and other wonderful nutrients, freshly juiced green juice can be like giving yourself a blood transfusion. It gives you loooong and stabilized energy and also curbs the appetite ad craving’s for refined carbohydrates. Juicing is an incredible blessing! Hello Arvind, fascinating article and I really enjoyed the interview. I juice almost everyday and as your friend mentioned it’s not just that, it’s a combination of things that helps a person stay healthy. I also practice yoga and meditation. Thank you for a very informative article and I look forward to reading more. Happy Holidays! Seems like you are already doing all the things I do myself and which I advocate. Here’s to lots more juicing, meditation and yoga in 2013!